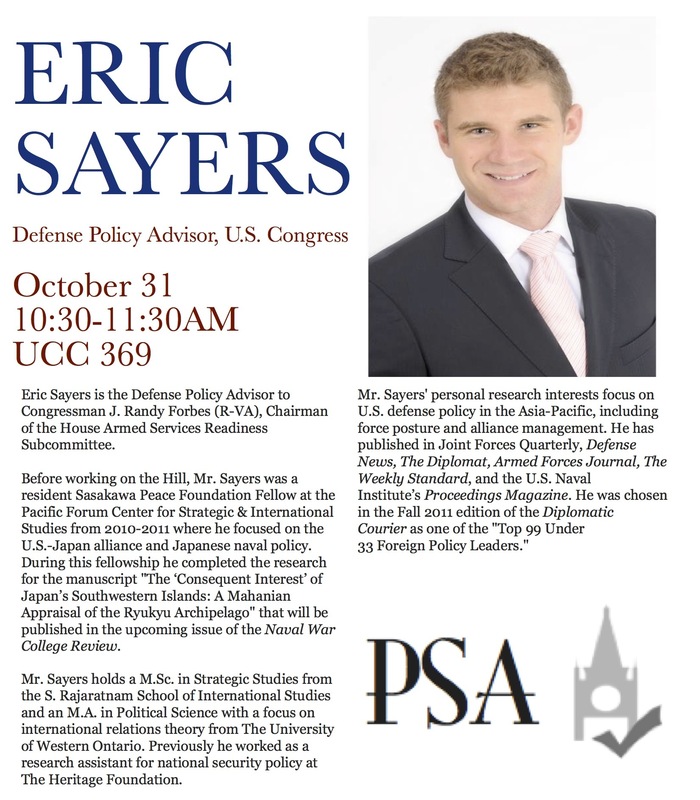 Join us in listening to Eric Sayers, Defense Policy Advisor to U.S. Congressman J. Randy Forbes and Panelist on today’s Forum on the U.S. Presidential Election. Mr Sayers, a Western Political Science grad, is speaking to the PSA about the presidential election and answering questions.